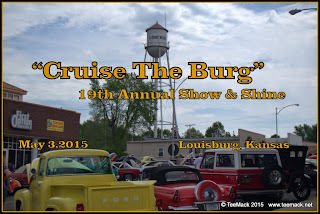 The 19th Annual "Cruise the Burg" car show was held in Louisburg, Kansas on May 3, 2015. 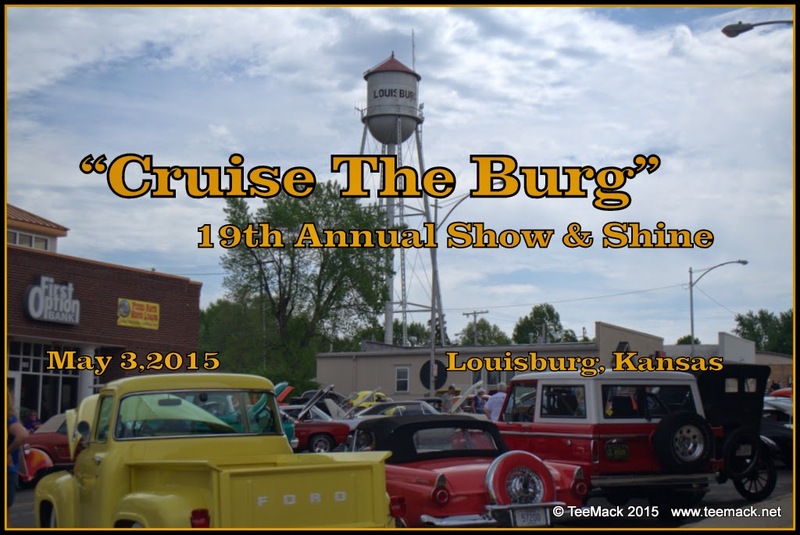 The annual event is hosted by the Louisburg Lions Club and the proceeds support community projects. With very sunny skies and temperatures in the 80's, over 175 vehicles were on display at the event. There was a 50/50 pot and also a silent auction. Everyone had a great time. Click here to view photos of the event.